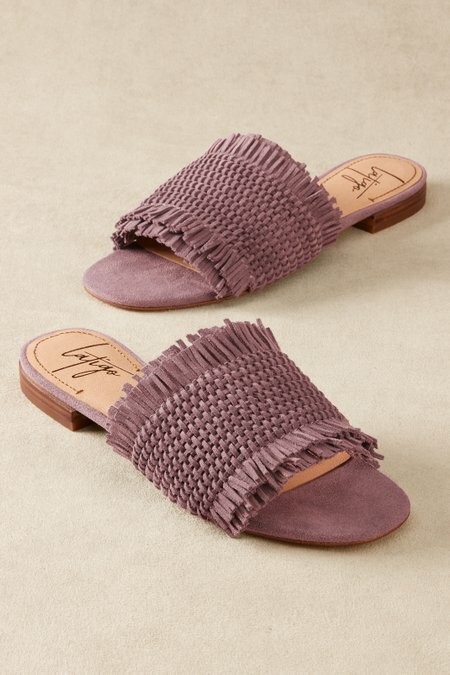 Endlessly versatile, these super-cute slides are winning raves with their textural basket-weave design of soft natural suede. A padded footbed and low wood heel give your feet a true vacation. 1/2" heel.